Although Hammerton is best known for custom lighting, this project provides an excellent snapshot of the breadth of our work in furniture and accessories. 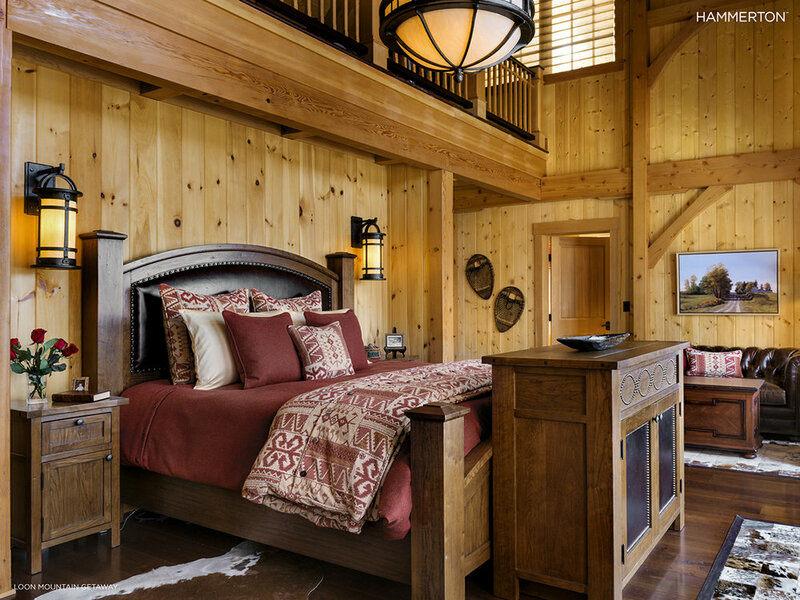 Nestled in New Hampshire's White Mountains, this three-story 7,500sf custom Timberpeg vacation home is a skier's paradise, complete with ski-in/ski-out access and references to the sport and the surrounding mountain setting throughout the home. Working with interior designer Randy Trainor, Hammerton created all of the themed furniture and accessories, as well as all of the lighting. Custom barstools, tables, mirrors, light fixtures and even a boot rack incorporate skis, ski poles, gondolas and ski scenes. Steel candelabras in the great room are designed to look like antlers. The enormous great room chandelier arrived in a crate so large that the house had to be built around it. Trainor won an ASID award for the basement family room.